The team left Bethel at 4:30 p.m. on Monday, June 21st, for India! Update from Pastor Andrew: Hello everyone from Delhi! We all are alive, but a bit sleep deprived. Sharon met us when we arrived at the YWCA here and we ate breakfast and now showing getting clean before we go explore the city. Be in prayer for Abby as her luggage did not make it here. 😦 Be in prayer for tomorrow too. We have an early train to catch tomorrow too. Praises: Tired but attitudes are great. Great weather. AC in our rooms. Our team is excited to get to our retreat and meet everyone. Thanks for praying everyone. Update hopefully in another 24 hours. Update from Pastor Andrew – Good morning from Musoorie. Internet is very poor and hard to connect to. I apologize for delaying a bit in our communication. Thursday was a crazy day. Most of us slept ok that night but the jet lag took a lot out of us. We woke up around 5:00am and loaded into our van and we were off to the train station. Arriving there about 30 minutes later we were surrounded by men grabbing bags and fighting each other for Sharon’s bag. Sharon just laughed and said “Isn’t this just exciting” and she had the biggest smile. For her it might have been but maybe not the word our kids would use. The train station was packed with people. Everything, the people, sounds, smells, vehicles are different. Sharon told us this is how it would be for us. Every street corner, every new road would be something new for us and that is completely true! Kids peeing in the road, street vendors, dirty, beauty and the TRAFFIC! I can’t go into details until we get back. It makes my driving look perfect! We took a 6 hour train ride up to Derha dun and that actually was pretty fun. They gave us tea and cookies, breakfast, tea and cookies again. Traveling the countryside did show the beauty of the this country and as we arrived in Derha dun it sat at the base of a huge mountain. The Himalayas. So, parents where this retreat center is having to be top 3 most beautiful places I have ever seen. The drive up the mountain was just amazing and unreal. The height and valleys and villages just perched on top was so cool. We are now at the retreat center and it is an old but big building. Build sometime in the 30’s if I am remembering right. Beds are ok, temperature is PERFECT!!! Last night we had a short session where they blessed and welcomed us, sang and had fun. Kids went to bed pretty quick after that. In our debriefing meeting everyone was struggling to stay awake. Today it officially starts! Sessions, games, worship-everything. Continue to pray for our health. All have been pretty well. Ambar and I were horribly carsick on the way up here but after she threw up- all better! Haha. Pray that this retreat is a blessing to everyone. I will try and update again tomorrow if possible. Another update from Sam: This morning I talked to Sharon again. The team is down the mountain at a hotel with relatively better amenities compared to the retreat center. They came through safe and sound away from the monkeys. The monkeys are noisy and amusing. But as it is with all wild life, they can be unpredictable and appear unfriendly (not always cute) at times. Our team has done their part in building some good memories of God’s grace for many young people and leaders alike. They had a fellowship meal and a visit with Tree of Life team this evening (Our morning). I look forward to their first hand report of the experience and the trip. Let us pray them home safe and sound. Written two days ago…we are now down the mountain and having some down time before heading back to Delhi. Tomorrow I take the team to a city of temples and pilgrimage on the Ganges where they can get some more understanding of Hinduism. This city is famous as the city where the Beatles went many years ago. Tomorrow evening we take the train to Delhi. Keep praying still much ahead. So far it has been an amazing trip. The verse Lauren gave me when I left has been so significant. John 7:38. Greetings from the beautiful Himalayas! We just closed an amazing youth retreat here…that was definitely an Ephesians 3:20 retreat! The teaching, worship, fellowship and games were awesome. The Indian youth and American youth mixed well. Today was closing day with pictures and send off in different directions in North India. As we sent them off we knew they had been filled up, refreshed, and were overflowing. We pray that from these young people Rivers of Living Water will flow to the parched places of India. The youth travel team that came with me is healthy and enjoying experiencing a new culture and making new friends. Today After lunch we went on a hike to the top of a mountain where there are Tibetan prayer flags. The view was awesome. Tomorrow one of the Indian youth is following the Lord in the waters of obedience. Our group will leave here after breakfast and do a bit more sightseeing and then head down the mountain to a very cold mountain stream. I am so thankful to be here because we have known this girl since she was a baby. In fact, Sam and I personally sponsor her schooling. She calls us grandma and grandpa in Hindi. She has one more year of high school left. She has become quite a young godly leader. Isn’t God amazing…to allow me to be here at this special time! Well, monkeys are jumping on the roof now. That has also been entertaining! Please continue to pray. Much is still on the agenda. Pray also for Sam and for stability for my Dad. I will leave India in July 4th night. Thanks for partnering to bring freedom and release to captives. When you celebrate the 4th—Pray for true freedom for all who are oppressed! It’s been a long time since we’ve done this song, but I like to pull it out from time to time. Nice song to open with. I pulled this song out since it fit so well with our theme. I like the song, but I’m not sure it’s the best one for congregational use. I remember that now from when we introduced it a while back. It seems like it should be an easy song for people to sing, but for some reason, people have not engaged with the song any time we’ve done it. This is a great song from Gateway Worship! 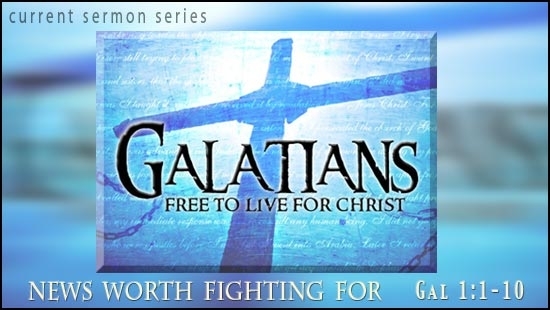 Again, it fit with our theme of freedom in Christ, and so fun to play and sing! I know this isn’t a new song, by any means, but it was the first time we’ve done the song at Bethel. 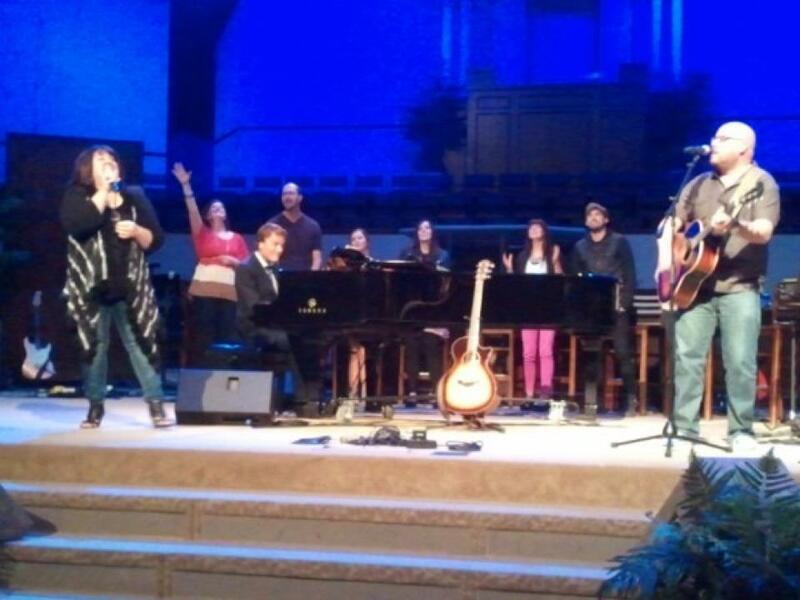 With the click track from Praise Charts, this was a great way to end the service! I was a bit worried about the high range of the song, but doing it in C helped. The only tricky part was coordinating the vamp section with the click. What a great morning! 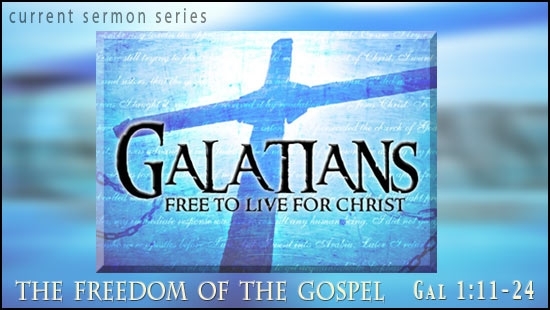 We’re going through a series on Galatians, and we focused this morning on freedom in Christ. We also had a baptism service at the end and 6 people were baptized! Elisha’s testimony was so powerful, and truly an example of how God changes lives. Zack led the team in the Cafe this week and picked out some great songs. This post is part of the Sunday Setlist at The Worship Community, where worship leaders share recaps and setlists from this past weekend. I’m heading to the Song Discovery Creative Conference this week, so Zack will be leading the teams this next week! Hope you had a great week! We had another powerful morning of worship at Bethel today, as we once again focused on the cross. Pastor Tim has been leading us in our journey to Easter by taking a close-up look at the events surrounding the death of Christ by both reading the Word, but also getting a visual reminder by watching it in movie form from the book of Matthew. We started the service with “Here For You” which worked great as a call to worship, helping people focus their thoughts and be reminder why wer were there. We moved right in the upbeat song of praise “Awesome Is The Lord Most High”. Just before the message, we introduced a new song from Paul Baloche’s The Same Love project called “All Because of the Cross”. It was a perfect lead in to the message about why Christ had to die. 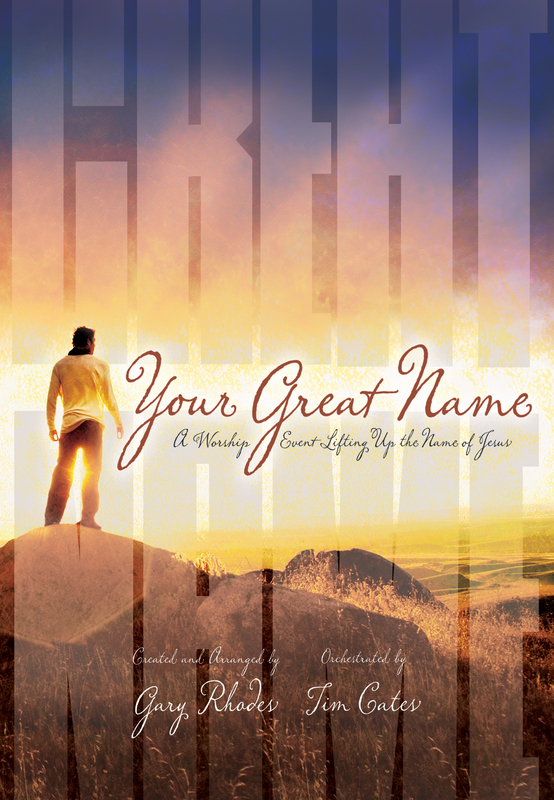 The song combines the familiar words of “Nothing But the Blood” on the verses, a new chorus, and ends with a bridge that hints at the old familiar chorus “O the Blood Of Jesus”. Combine all those elements with some really interesting rhythms and chord choices, and you have a great song! I got several comments after the service how much people liked the new song, which doesn’t always happen. You can watch a video of this service and also see the Planning Center details. Zack led the Cafe worship team this morning, and did a great job! It was kind of a stressful morning today because our church hosted a men’s homeless shelter this past week, and this morning they were still there up until an hour before the service started. We had to transform our Family Life Center from homeless shelter into Cafe very quickly! But, with a lot of help, it went fine. It made me truly have compassion on those people who need to set up their teams equipment every week! You can see the Planning Center details for this service. We had a special guest in all of our services today; Dr. Dwight Perry, the Executive Minister for Converge Great Lakes, was here for a short greeting in each service. Our church is part of Converge Great Lakes, also known as the Great Lakes Baptist Conference, which is part of the Converge Worldwide (Baptist General Conference). You can watch the video of this service and see the Planning Center details. This post is part of the Sunday Setlist blog at The Worship Community, where worship leaders share setlists and recaps from today’s services. Thanks for reading, and I hope you had a great morning as well! We had a powerful morning of worship at Bethel, with a special emphasis on remembering the crucifixion. We’re continuing to tweak the order of service to get the flow just right. We introduced a new song this week from the new Passion album White Flag called “Jesus Son Of God”. I first heard this song while watching the livestream of the Passion conference recently in Atlanta. As I was listening to it back then I thought to myself that as soon as that song became available, we’d use it. The timing worked out perfectly since we’re in a series on the cross! I also included something new this week. A team from our church recently attended the Pulse Arts & Worship Conference in Madison, WI. We were challenged there to continue to look for new ways to incorporate the arts into our worship. One of the ladies on our team who went to the conference had written a poem about the cross, which she read as a transition between two of our songs. I thought it worked really well! You can watch the video of this service and see the Planning Center details. Zack led the team this week in the Cafe. I love this service! It’s such a cool atmosphere and setting for this worship service, and there is such a sense of community building week to week. You can see the Planning Center details for this service. The theme was also on the cross in this service, and Pastor Tim has been using the visual Bible from the book of Matthew to give people a visual reminder of the story of the cross. It’s been effective, but I was there was a newer visual Bible DVD to use that didn’t look quite so outdated. For some, though, it’s the first time seeing something like this. You can see the video of this service. This post is part of the Sunday Setlists log at The Worship Community, where worship leaders share setlists and recaps from this weekend. Thanks for reading!